Despite farmers’ positive perceptions about cover crops and the availability of cost-share programs to incentivize their use, an Iowa State University study shows the return on investment may be the biggest hurdle to overcome for widespread adoption of the practice. In 2017, Iowa fields planted to cover crops grew to 760,000 acres, with less than half receiving federal or state cost share. 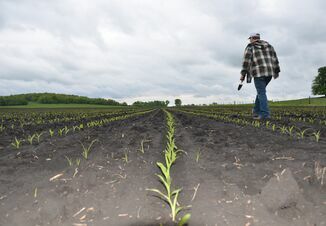 But with millions of acres of crops, Iowa — and other Midwestern states — has yet to see widespread adoption of cover crops to reduce nitrates in water from crop fields and to conserve and build healthy soils. “But it’s likely that the number of acres planted won’t substantially scale up if the practice doesn’t at least break-even in the short term,” he added. In the study, Plastina and his colleagues calculated annual net returns to cover crop use by analyzing field data collected through focus groups conducted in Iowa, Illinois, and Minnesota; an online survey with responses from 11 states; and a survey mailed to 1,250 farmers in Iowa. Through the survey and focus groups, conducted in partnership with the Practical Farmers of Iowa organization, the researchers compared each farmer’s costs and revenues from fields where they used cover crops and from fields without cover crops. Working with Plastina were Fernando Miguez, associate professor of agronomy; Fangge Liu and Wendiam Sawadgo, graduate students in economics; Guillermo Marcillo, graduate student in agronomy; and Sarah Carlson, the strategic initiatives director for Practical Farmers of Iowa. Using the survey results, the researchers developed partial budgets to evaluate changes in net returns resulting from using cover crops in corn or soybean production. Overall, the researchers found substantial variability in net returns, driven by the costs of planting and terminating cover crops, feed cost savings from grazing cover crops, cost-share program payments, and the difference in yields obtained in fields with and without cover crops. What Can Tilt the Balance? 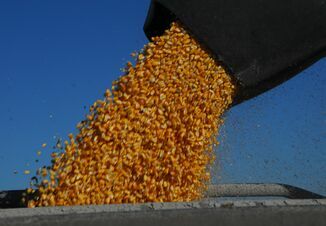 “Anecdotally, farmers may find ways to reduce costs and increase revenues, but from our research we can affirm that is not what Iowa farmers are typically experiencing,” he adds. Also helpful, he added, would be developing improved guidelines to help farmers minimize yield drag on corn and soybeans while containing cover crop planting and termination costs. “A less sustainable alternative, due to federal and state budget constraints, would be to consider public policies that provide more incentives to adopt cover crops, like more cost-share payments, subsidized seed, discounted crop insurance premiums or tax credits,” Plastina says. Plastina admits that partial budgets derived on survey data do not account for long-term soil and water quality benefits because no market value exists for soil health or water quality, and neither does a generally accepted method to value them. But this information still provides valuable insight for farmers and policy-makers. Plastina is developing a website on the economics of cover crops that will include tools for farmers and others to discern potential costs and benefits. The website will include a downloadable spreadsheet with several budget scenarios for cover crops and a simple web-based decision tool to generate estimated net returns to cover crops. He also continues to conduct research, including an evaluation of the effectiveness of cost-share programs in promoting adoption of cover crops. 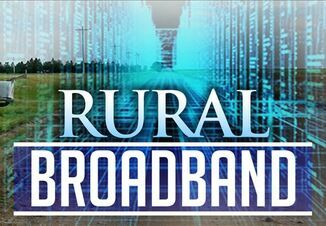 The project was funded by the North Central Region of the Sustainable Agriculture Research and Education (NCR-SARE) and the Center for Agricultural and Rural Development at Iowa State.